PSB PARIS SCHOOL OF BUSINESS IS “RECONNU PAR L’ETAT” - RECOGNIZED BY THE STATE. As a Private Higher Education Institution PSB is Recognized by the state, for an indefinite period, following a complete assessment by the rectorship and the Ministry of Education. Equipment, premises, education, administration and financial management of the school are audited. The recognition by the State also allows students to be able to apply for grants to the CROUS. Last but not least, state recognition concerns the school as an Institution and not the qualifications awarded. PSB-PARIS SCHOOL OF BUSINESS IS A MEMBER OF « LA CONFERENCE DES GRANDES ECOLES ». La Conférence des Grandes Ecoles (CGE) is an association law 1901 include bringing together top engineering and management schools. Only schools recognized by the state and delivering a national diploma in 5 years after the French baccalaureate, with the rank of Master, are eligible to become a member of this valued association. Belonging to the CGE is a good way to easily identify schools that meet all the quality criteria defined above. PSB-PARIS SCHOOL OF BUSINESS IS A MEMBER OF « UNION DES GRANDES ECOLES INDEPENDANTES ». The ambition of the Union of Independent Grandes Ecoles is to promote, through private higher education quality, development of excellence both in the area of training as research. Active members are large schools delivering a master's degree, with 10 years of existence and minimum 2 years as associate member. Award Certified at level 1 is the first level of recognition that a business school can get to one of his degrees. These certifications are generally issued by government departments or agencies accredited by the state. All certified qualifications and diplomas are referenced in the National Directory of Professional Certifications (RNCP). The term homologue was also sometimes used in the past. PSB PARIS SCHOOL OF BUSINESS 5 YEARS MASTER OF MANAGEMENT DEGREE IS A “DIPLOME VISE” STATE ACCREDITED AWARD BY THE STATE. This procedure is only possible for schools recognized by the State beforehand. A school that awards “diplome visé” is necessarily recognized by the State. Schools are then subjected to a continuous academic control. The content of training, admission juries and commissions and issuing diplomas are examined. A visa is issued by a decree of the Minister of Higher Education, and this for a period of 6 years maximum. The list of business schools delivering a “diplôme visé” is available on the official website of the Commission for the Evaluation of Training and Management Diplomas (CEFDG). PSB PARIS SCHOOL OF BUSINESS 5 YEARS MASTER OF MANAGEMENT DEGREE AND INTERNATIONAL MBA ARE AMBA-ACCREDITED. PSB Paris School of Business’s Grande École Program (5-year course leading to an official Master level degree) and International MBA are accredited by The Association of MBAs (AMBA). AMBA is the international impartial authority on postgraduate business education, established in 1967 by a small group of business graduates with the aim to raise the profile of business education and the MBA qualification in UK and Europe. PSB PARIS SCHOOL OF BUSINESS IS MEMBER OF EUROPEAN FOUNDATION FOR MANAGEMENT DEVELOPMENT (EFMD). EFMD is an accreditation of quality in management education with established accreditation services for business schools and business school programs, corporate universities and technology-enhanced learning programs. PSB PARIS SCHOOL OF BUSINESS IS MEMBER OF ASSOCIATION TO ADVANCE COLLEGIATE SCHOOLS OF BUSINESS (AACSB). AACSB International is a global membership association for the management education industry. Members include institutions and collegiate schools of business, as well as corporate, nonprofit, and public sector organizations that wish to work or connect with the management education industry. PSB IS REGISTERED ON THE LIST OF UNIVERSITIES, COMMERCE & ENGINEERING SCHOOLS RECOMMENDED BY THE EDUCATION DEPARTMENT OF THE EMBASSY OF CHINA IN FRANCE. PSB is officially listed on the Chinese Ministry of National Education for Study Abroad website. PSB PARIS SCHOOL OF BUSINESS IS A MEMBER OF THE EUROPEAN COMMISSION ERASMUS+ PROGRAM. The Erasmus Programme is an EU exchange student programme that has been in existence since the late 1980’s. Its purpose is to provide foreign exchange options for students from within the European Union and it involves many of the best universities and seats of learning on the continent. 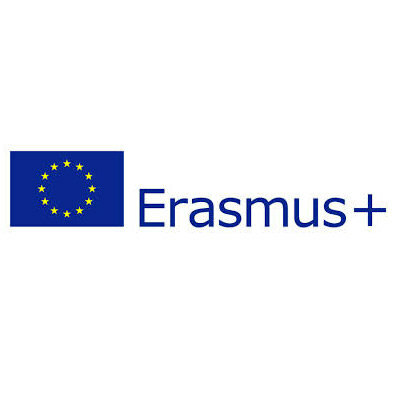 Erasmus + projects are funded with support from the European Commission. This publication reflects only the author and the Commission is not responsible for any use that may be made of the information contain therein.